Allsop Commercial has achieved its biggest May auction in 10 years, raising £114 million at a success rate of 81%. 167 lots have now been sold, 30 of which were for over £1 million, and nine of which were for more than £2 million. The day’s biggest sale was a very attractive public house in Brighton, let to a Greene King subsidiary and earning an income of £307,971 per annum with fixed annual increases, which sold for £4.1 million at an initial yield of 7%. Other notable lots on the day included a retail parade comprising shops, flats and garages in Nottingham, which sold for £2.2 million (8.58%), and a parade of shops in Burnt Oak, London, which was sold across five separate lots for a total of £3.42 million, at an overall net initial yield of 4.67%. 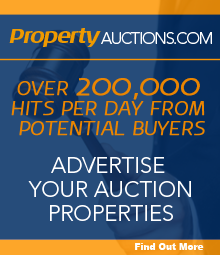 Allsop Commercial’s next auction will take place on Wednesday 6 July at The Berkeley, Wilton Place, London SW1X 7RL.